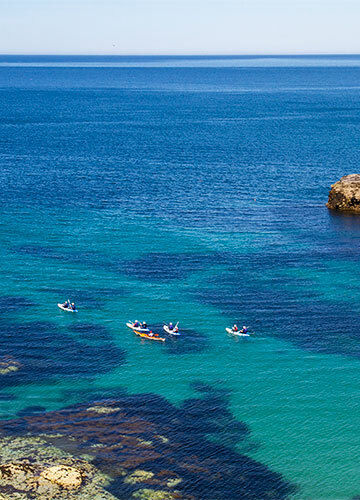 Sea Kayaking is a great way to get out on the water and explore the coast. 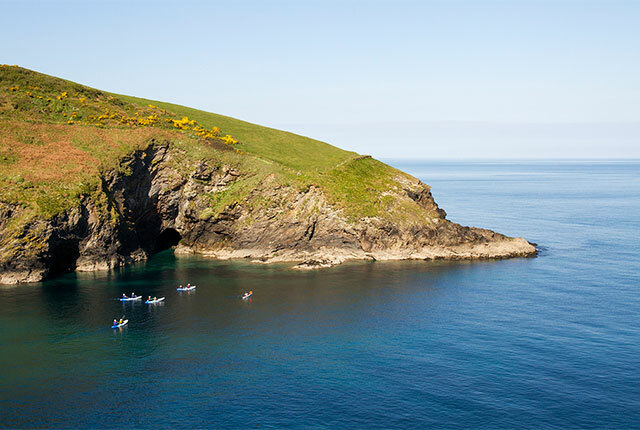 We run guided excursions on stable sit-on-top sea kayaks from Port Gaverne, paddling to remote beaches and coves or around to neighbouring Port Isaac, spotting wildlife and enjoying beautiful, unspoiled scenery away from the crowds. Nothing beats the view of the Cornish coastline looking back from the sea. Our sturdy double sit-on-top kayaks are easy to use, and they allow you to paddle as a pair so that you can share the effort and concentrate on enjoying the scenery. Full instruction is provided and no previous experience is required. 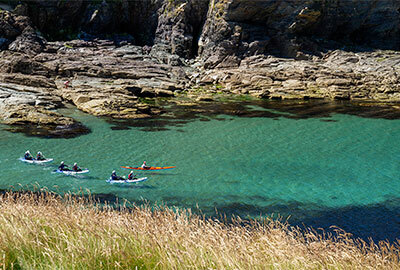 Starting from the calm waters of the cove at Port Gaverne you’ll spend two hours on the water under the guidance of one of our qualified sea kayaking instructors, learning some basic kayaking skills before setting off as a group to explore the surrounding coastline. Our standard Sea Kayaking sessions are popular with families and individuals or small groups of all ages. 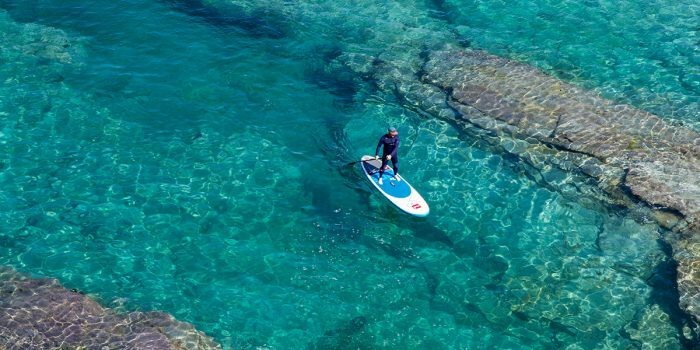 We use double sit-on-top sea kayaks that are extremely stable and allow you to paddle efficiently either alone or as a pair, so that you can spend your time focused on enjoying the experience. 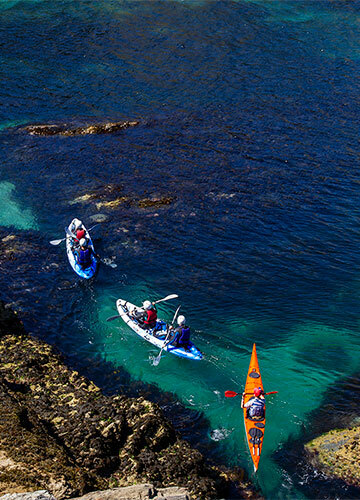 Sea Kayaking costs £40 per person and includes the use of all necessary equipment, including a warm wetsuit, thick-soled wetsuit boots, a buoyancy aid and a helmet as well as the sit-on-top kayak and paddle. All you need to bring is a towel and swimwear. Participants must be eight years old or over and competent swimmers (i.e. be able to swim 25M in a pool unaided). We ask that children under 14 years old are accompanied by an adult. 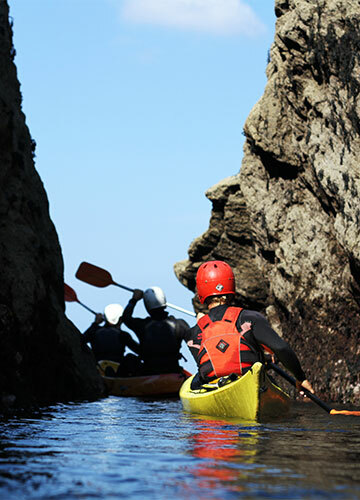 Aimed at those with some prior paddling experience, our Intermediate Sea Kayaking trips allow you to adventure further and explore more. 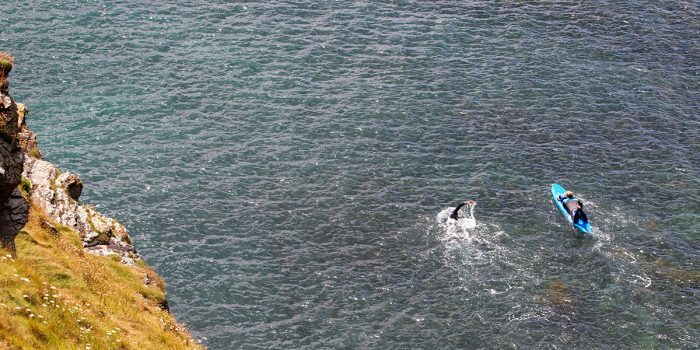 With miles of spectacular coastline on either side of Port Gaverne, we’ll guide you to some truly special locations where you’ll feel a million miles from anywhere. We like to discuss your booking with you, so we can tailor your session to your needs. 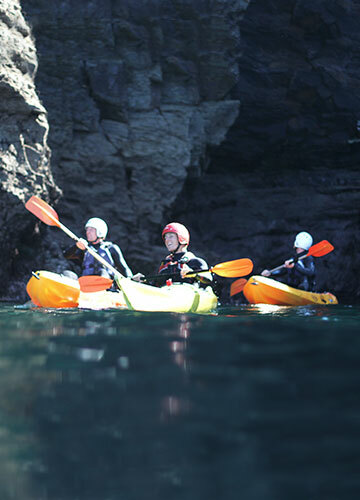 "I wish I had tried this sooner"
Our families had a fantastic time sea kayaking from Port Gaverne. Friendly & helpful instructor who showed us some amazing caves and explained the geography & wildlife to us. 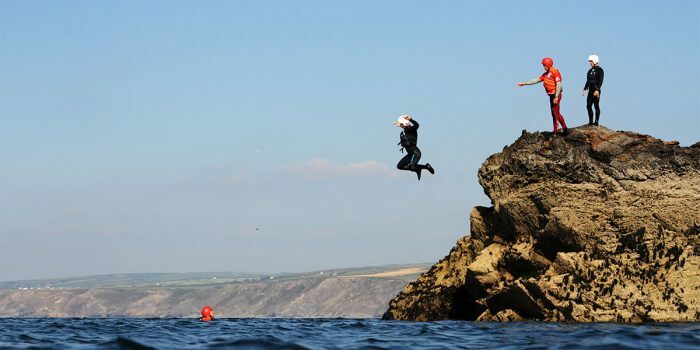 I have been holidaying in Cornwall for 40 years, I wish I had tried this sooner. 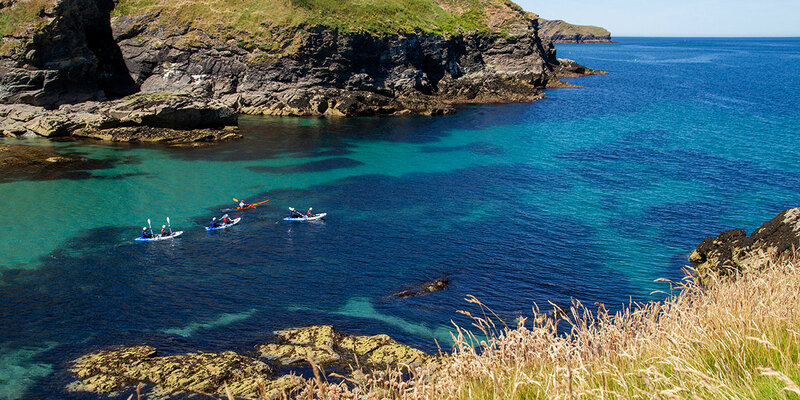 "A perfect way to end our week in Cornwall"
If you’re suddenly finding yourself with restless teenagers on holiday, then I highly recommend booking a sea kayaking session with Cornish Rock Tors. It was a winner with our hard to please 13 and 16 year olds and really fun and lovely activity to do as a family. Highly recommended! 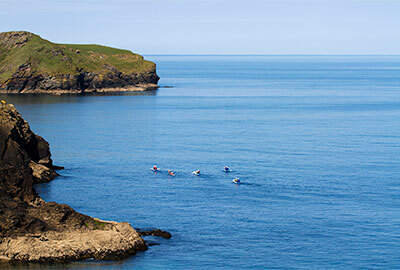 "A brilliant way to see the coast"
Had a great time out sea kayaking. Really informative guide and great fun. A brilliant way to see the coast from another view. 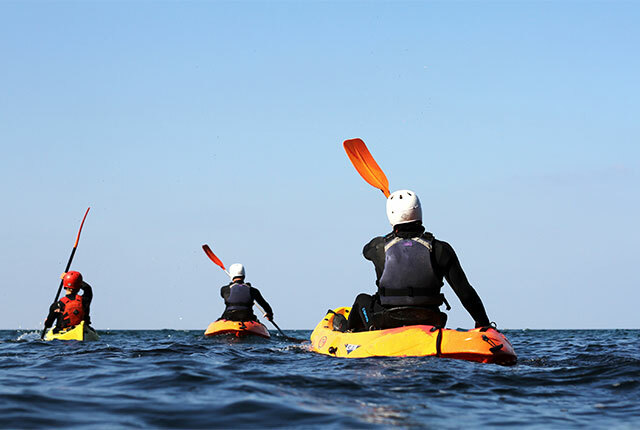 "Safe, interesting, exciting and great value for money"
I was impressed by how flexible the team were at re booking our sea kayaking to a day we would have a better experience at sea. The guides are funny and encouraging which is everything you need to push you out of your comfort zone and get you to try something new. Safe, interesting, exciting and great value for money. Highly recommended.